Jeff Bezos started from Seattle Garage in Washington as Online Book Seller in 1994 with 22 Investors worth $50K but his owned investment was came from his parents retirement fund and his savings which controlled 20% and 1996 surpassed every online bookstores on Earth and became The Word's Largest Book Seller in 1996 and 1997 went on Public at $18/Share for $50M Initial paid up capital. In 1999, he entered in Music and Video Movie Industries by selling DVD videos and e-music and he undergone ups and downs on business especially year 2000 with almost Zero Profit but in 2001, he recovered gradually up to 2004, In 2005 he set up Amazon Prime that Partnered Resellers which gives some incentives to client for Free Shipping Costs and He started to recover and earned $4.10B overtaken Richard Branson (Virgin group) and Steve Jobs (CEO Apple). He also started 2006 Amazon Web Services or AWS Computing Company and 2007 Kindle E-Reader were invented by Amazon which books are stored and you can read books immediately in a second to retrieved and likewise started Amazon Fresh Food delivery services which he gained more customers. In 2009, He bought Zappo.com Shoes Retailers for $1.2B and 2013 bought Washington Post for $250M and Amazon stocks moved up from $18 in 1997 to $300/share in 2013. In 2014, Jeff Bezos reached $25.30 beaten Larry Page and Sergy Brin Owners of Google and became the 19th World's Riches Man. In June, 2017 Bought Whole Foods for $13.7B and the next month Jeff Bezos overtakes Bill Gates at least for a few hours because Bill Gate regain his momentum but on 27th Oct. 2018 Jeff Bezos his stocks soars and gained $10 B and reached $93 beating Bill Gates of only $90B as the World Richest Man and from that on Amazon pushed their stock uptrend and Bill Gates slides down to $89 B and Jeff Bezos continue to grow to reach $137 B as of Nov. 2018. One thing I like Jeff Bezo is his attitudes when he started Amazon he helps for packing the books and also delivered the books to Post Office. Sometimes, his IT Manager who also helps for packing heard him that his toes and back felt pain while he is doing packing his IT manager advise him to buy the table for packing the books because when they started they packed from the floor so when they used the table they double their packaging and that's where they started invented new things. 1. Customer Focus and Obsessions. that's four things make Jeff Bezo became Successful and Richest Man in the World. I believed to become Employee you will never get rich and increase your asset but to be Business Entrepreneur your income will be unlimited and as you become wiser and put more efforts and strategy in business your income will grow faster. These two characters must be Twin "Hard-work and Strategy" and not to be separated because if you only choose hard work only and don't use innovation and strategy you can not advance but if you only use strategy only and you don't use hard work or more efforts strategy will be hang and will not materialize unless you joined these two characters or traits of a successful businessman and if you use Hard work and strategy in the long run if you accumulate more wealth and master the concept or system of business there will come a time that you will retire early and not work at all because other people will perform in your behalf. As Warren Buffet says (3rd World Riches Man) " If you don't find a ways to make money while you sleep you will work until you die." To speed up your income while you sleep (Referring others is optional) you can have minimum capital of $40 to $4K. 4.) Using your Android Phone: https://play.google.com/store/apps/details…(Earned P1,200 to P1,500 Monthly). 2.) 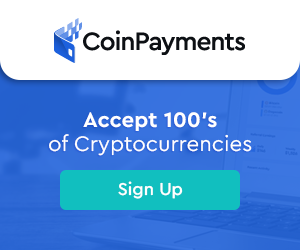 Coinpayments: https://gocps.net/sfg8gao80dn61eqbasrwe8q0vloa/ (Get Free $10). LET YOUR MONEY WORK FOR YOU! Does investing money violate Biblical principles? Does investing money violate Biblical principles? In the Bible, II Thessalonians 3:10 it is taught that only the person who work have the right to eat. Gold and Silver, Mutual Funds, Stockmarket, Lending, and even owning a business is evil because after all, the boss and investor doesn't work yet they get paid. This is an erroneous belief and misunderstanding of the Bible. The employees and self employed are using the work hard principle. They trade their time and expertise for money. To them No Work is equals to No Pay. It is a never ending cycle for them of work->get paid->spend->work. Since they are limited by the amount of time they can give in exchange for money, they barely earn anything and must constantly work or else the money stops flowing. Investors and Business Owners on the other hand are Working Smart. They use the power of leverage to multiply their time and effort through other people or they make money work for them. They do the hardwork in the beginning and enjoy the fruits of their labor many times over later even after they stop working. Because they are not limited by the hours they can give, they earn unlimited income. To them, no work is equals to yes pay. They can be vacationing around the globe and yet get paid. work involved. For investors, work is done at the beginning when they use their mind to look for and examine good investment opportunities. That is work! They don't just throw their money away, they use their mind to make sure that each investment will be profitable. self employed to get their business started. They manage it well and employ the right people. All that is hard work. But then later, due to their initial hardwork, their business becomes big and because of that, they can afford to step away even for a year and still earn lots and lots of money. investor or a business owner. Remember, If you don't learn to earn even while you sleep, you will work until you die. I do not believe that we are born on this earth just to work, pay bills and die. Do you? How to claim your Free BTC, BCH, DASH, LTC, DOGE AND COINPOT? Note: Don’t Ever Invest in All Ads shown in Coinpot and Faucets Because based on my Research all are HYIP due to high returns and they are using Crypto to Temp all the Customers. POWERFUL BROWSER WHICH MINING BITCOIN WHETHER YOUR PC IS ON OR OFF. The World's Lowest Exchange Register and get FREE $10. EARN BITCOIN THRU YOUR BROWSER 5X FASTER THAN FAUCET HUB! WIN $30,000 REFERRAL CONTEST THIS MONTH OF JULY, 2018 FOR FREE! Paying 0.20% to 10% Daily Profit! Invest2makewealth by Rolly Custodio Copy Right 2013. Picture Window theme. Powered by Blogger.